This open access version of "Cultivating urban literacies on Chicago's South Side through a pedagogy of spatial justice" is being publicly read, annotated, and discussed as a part of the 2018-19 Marginal Syllabus. To learn more about this project and discussion, click Page Notes (above) to access additional information and linked resources. Our thanks to partner authors Andrea Vaughan, Rebecca Woodard, Nathan Phillips, and Kara Taylor for contributing to the 2018-19 Marginal Syllabus! Additional biographical information about the authors is included at the end of this article. And a Connected Learning TV webinar featuring all the authors will be broadcast on Tuesday, April 2nd and also embedded in our annotation conversation, too. Reading with other people is a unique learning opportunity. Share annotations that spark conversation and deepen our collective inquiry. Consider how you might listen with your annotations. Create space for other people and multiple perspectives. Remember that discussing controversial topics is challenging and may be a new experience for some participants. Welcome to the 2018-19 Marginal Syllabus and our April conversation! This is the sixth article we will read and publicly annotate as part of "Literacy, Equity + Remarkable Notes = LEARN." 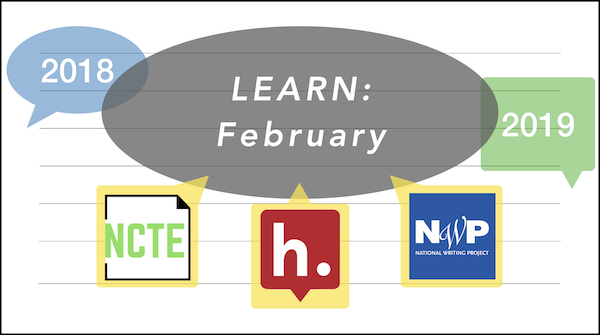 LEARN has been co-developed in partnership with the National Writing Project (NWP), the National Council of Teachers of English (NCTE), and Hypothesis. The Marginal Syllabus convenes and sustains conversation via open web annotation with educators about issues of equity in teaching, learning, and education. What's "marginal" about the Marginal Syllabus? We partner with authors whose writing is contrary to dominant education norms, we read and annotate in the margins of online texts, and we discuss educational equity using open-source technology that’s marginal to commercial edtech. Read the full 2018-19 syllabus here. Greetings everyone, I'm excited about CLX developing this connected learning guide! If you are participating in the feedback activities via Hypothesis annotation, and if you'd like to see analytics about the collaborative activity associated with this guide, please click here. This link will take you to the "crowd layers" dashboard, where you can view a summary of who is annotating, what types of annotations have been added, when annotations were written, if annotations are tagged, and more. I hope this is a useful tool that complements the broader feedback process. This open access version of "Critical Indigenous Literacies: Selecting and Using Children's Books about Indigenous Peoples" is being publicly read, annotated, and discussed as a part of the 2018-19 Marginal Syllabus. To learn more about this project and discussion, click Page Notes (above) to access additional information and linked resources. Click here to read the latest tweets tagged #OwnVoices. "Established in 2006, American Indians in Children's Literature (AICL) provides critical perspectives and analysis of indigenous peoples in children's and young adult books, the school curriculum, popular culture, and society." Visit the site to read book reviews, Native media, and more. Our thanks to partner author Debbie Reese for contributing to the 2018-19 Marginal Syllabus! A short biography of Debbie Reese is included at the end of this article, and you can also learn more about her here. Welcome to the 2018-19 Marginal Syllabus and our March conversation! This is the fifth article we will read and publicly annotate as part of "Literacy, Equity + Remarkable Notes = LEARN." LEARN has been co-developed in partnership with the National Writing Project (NWP), the National Council of Teachers of English (NCTE), and Hypothesis. The Marginal Syllabus convenes and sustains conversation via open web annotation with educators about issues of equity in teaching, learning, and education. What's "marginal" about the Marginal Syllabus? We partner with authors whose writing is contrary to dominant education norms, we read and annotate in the margins of online texts, and we discuss educational equity using open-source technology that’s marginal to commercial edtech. Read the full 2018-19 syllabus here. Learning is motivating when it grows out of personal interest. It is learning in an age of abundant access to information and social connection that embraces the diverse backgrounds and interests of all young people. 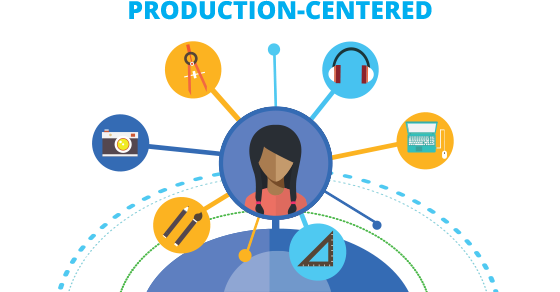 Connected learning combines personal interests, supportive relationships, and opportunities. Our thanks to partner authors Valerie Kinloch, Tanja Burkhard, and Carlotta Penn for contributing to the 2018-19 Marginal Syllabus! A Connected Learning TV webinar featuring all three partner authors will be broadcast on Tuesday, Feb 5th, with the video also embedded here in our annotation conversation. Brief bios for all three partner authors are also included at the end of this article. Welcome to the 2018-19 Marginal Syllabus and our February conversation! 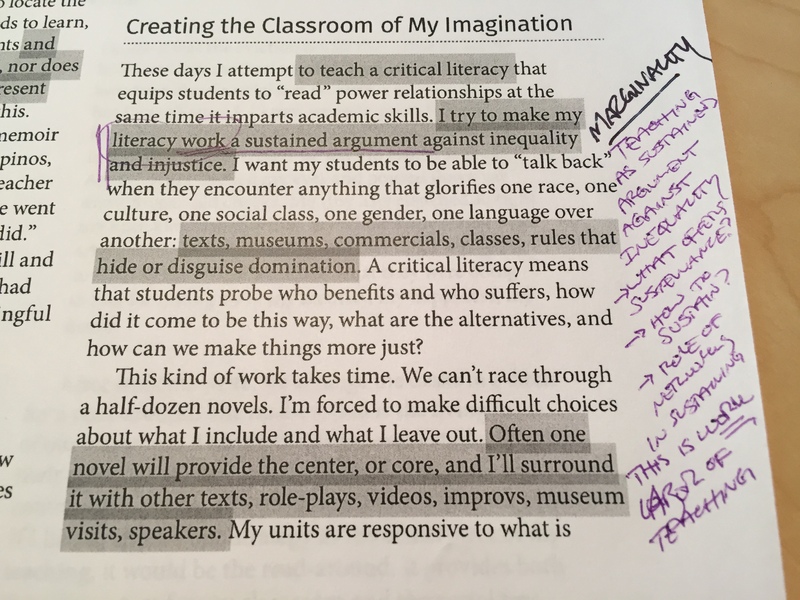 This is the fourth article we will read and publicly annotate as part of "Literacy, Equity + Remarkable Notes = LEARN." LEARN has been co-developed in partnership with the National Writing Project (NWP), the National Council of Teachers of English (NCTE), and Hypothesis. The Marginal Syllabus convenes and sustains conversation via open web annotation with educators about issues of equity in teaching, learning, and education. What's "marginal" about the Marginal Syllabus? We partner with authors whose writing is contrary to dominant education norms, we read and annotate in the margins of online texts, and we discuss educational equity using open-source technology that’s marginal to commercial edtech. Read the full 2018-19 syllabus here. It's an honor to be cited by Maha and Autumm in their paper! This particular article was published at the end of 2018 as "Equity-oriented design in open education." Here's the journal's version as well as an open access preprint. Looking forward to this connected and collaborative annotation jam. Feel free to jump in anytime, but be sure to join January 31 from 6-8pm to connect with the live Denver audience. A big thank you to Maha and Autumm for creating and sharing these ideas; ones we will all collectively benefit from. Our thanks to partner authors Allison Skerrett, Amber Warrington, and Thea Williamson for contributing to the 2018-19 Marginal Syllabus! A short bio for each scholar is included at the end of this article. Also, all partner authors joined Marginal Syllabus readers and facilitators in a Connected Learning TV webinar about this article that will be available to view via Educator Innovator on Tuesday, January 8th - please watch as a complement to reading and annotating this important article! Welcome to the 2018-19 Marginal Syllabus and our January conversation! This is the third article we will read and publicly annotate as part of "Literacy, Equity + Remarkable Notes = LEARN." LEARN has been co-developed in partnership with the National Writing Project (NWP), the National Council of Teachers of English (NCTE), and Hypothesis. The Marginal Syllabus convenes and sustains conversation via open web annotation with educators about issues of equity in teaching, learning, and education. What's "marginal" about the Marginal Syllabus? We partner with authors whose writing is contrary to dominant education norms, we read and annotate in the margins of online texts, and we discuss educational equity using open-source technology that’s marginal to commercial edtech. Read the full 2018-19 syllabus here. Connected learning allows learning to be more personalized to the individual student. It connects their academics to their interests, learners to peers & mentors who are interested in the same thing (digital world) and education goals to higher goals and skills. The research is clear: Learning is irresistible and life-changing when it connects personal interests to meaningful relationships and real-world opportunity. I really like the idea of connected learning. Linking children's interests to what they are learning is a great tool. I feel like if you give children freedom to explore what they want but somehow prompt them into achieving what you, as the teacher want, the learning process will be great and exciting. Learning is motivating when it grows out of personal interest. A growing body of research indicates that interest helps us pay attention, make connections, persist and engage in deeper learning. For example, when reading about games they enjoy playing, teenage boys read at a much higher level than their reading level in school. This is so powerful as a future teacher learning the importance and how to incorporate students' interests into the classroom. When interest is sparked this motivation is created and as this model states it can create somewhat of a chain reaction that can open the doors to so many relationships and opportunities in the future. I think I can incorporate interest into my PBL unit plan and hopefully motivate the students to engage in the learning and collaborate with peers. As part of their learning plan, students also wrote or edited a Wikipedia article relevant to their particular focus area. This can be a notoriously hard task. In part of an awesome address to K-State, Jim Groom spoke about his experiments teaching with Wikipedia. (at 16:50 of the video below) https://youtu.be/Ne6jV1kefp4 His talk is an important one for folks thinking about how where these OER OEP conversations have been, are now, and should be headed. He asked students to identify a particular question and develop a learning plan for exploring that ques-tion during the course. He also required that students update and improve the course OER, create new OER where needed, and decide how they should be graded. I appreciate the production centered nature of this approach, they learn about OER by using them, critiquing them and helping to create them. When we were in elementary grades, connected learning wasn't needed due to not a lot of interactive content being used by us and it wasn't a common interest. Now, traditional education IS failing without technology because of the increase of interactive contact and younger students need to stay engaged with communication in order to be interested in what they are learning. Welcome to the 2017-18 Marginal Syllabus and May’s conversation! This is the eighth and final text we will read and publicly annotate as part of "Writing Our Civic Futures." The Marginal Syllabus convenes and sustains conversation with educators about issues of equity in teaching, learning, and education. The project's name, Marginal Syllabus, embraces a political and technical double entendre; we partner with authors whose writing may be considered marginal—or contrary—to dominant education norms, and online conversations with authors occur in the margins of their texts using web annotation. The Marginal Syllabus is a partnership with the National Writing Project, who is hosting the 2017-18 syllabus, and Hypothesis, an organization building an open platform for web annotation. Networks (back and forth) not funnels (one way). If this isn't a summing up of CLMOOC, I don't know what is. Our thanks to partner author Erica Hodgin for contributing this important text to the 2017-18 Marginal Syllabus! Erica and guest reader Paul Oh joined Marginal Syllabus co-founders Joe Dillon and Remi Kalir for a CLTV webinar discussion about this text - it will air "live" on Tuesday, April 3rd at 4p PT. Welcome to the 2017-18 Marginal Syllabus and April's conversation! This is the seventh text we will read and publicly annotate as part of "Writing Our Civic Futures." The Marginal Syllabus convenes and sustains conversation with educators about issues of equity in teaching, learning, and education. The project's name, Marginal Syllabus, embraces a political and technical double entendre; we partner with authors whose writing may be considered marginal—or contrary—to dominant education norms, and online conversations with authors occur in the margins of their texts using web annotation. The Marginal Syllabus is a partnership with the National Writing Project, who is hosting the 2017-18 syllabus, and Hypothesis, an organization building an open technology for web annotation. A game to play as you begin this annotation or one to end with after you have done with it: an empathy map. Here is another set of directions. Our thanks to partner authors Drs. April Baker-Bell, Raven Jones Stanbrough, and Sakeena Everett for contributing this important text to the 2017-18 Marginal Syllabus. A conversation with our partner authors will air "live" on Tuesday, March 6th at 4 pm PT/7p ET - watch it here, it's a really amazing conversation. Our thanks to partner authors Joe Kahne and Ben Bowyer for contributing this important text to the 2017-18 Marginal Syllabus! Joe also joined a number of educators for a Connected Learning TV webinar that will air on February 6th at 4p PT. You can watch it here. Welcome to the 2017-18 Marginal Syllabus and February’s conversation! This is the fifth text we will read and publicly annotate as part of "Writing Our Civic Futures." The Marginal Syllabus convenes and sustains conversation with educators about issues of equity in teaching, learning, and education. The project's name, Marginal Syllabus, embraces a political and technical double entendre; we partner with authors whose writing may be considered marginal—or contrary—to dominant education norms, and online conversations with authors occur in the margins of their texts using web annotation. The Marginal Syllabus is a partnership with the National Writing Project, who is hosting the 2017-18 syllabus, and Hypothesis, an organization building an open platform for web annotation. Welcome to the 2017-18 Marginal Syllabus and January’s conversation! This is the fourth text we will read and publicly annotate as part of "Writing Our Civic Futures." The Marginal Syllabus convenes and sustains conversation with educators about issues of equity in teaching, learning, and education. The project's name, Marginal Syllabus, embraces a political and technical double entendre; we partner with authors whose writing may be considered marginal—or contrary—to dominant education norms, and online conversations with authors occur in the margins of their texts using web annotation. The Marginal Syllabus is a partnership with the National Writing Project, who is hosting the 2017-18 syllabus, and Hypothesis, an organization building an open platform for web annotation. I try to make my literacy work a sustained argument against inequality and injustice. I'm inspired by Linda's emphasis on teaching as a sustained argument against inequality. In doing such work (for it is work, and more on that later), what - and who - offers sustenance so as to sustain such argumentation? How is such work sustained, particularly over time? And what is the role of networks in sustaining arguments against inequality? I also appreciate Linda's use of the word "work," for teaching is a labor - in this case, literacy education is a means of laboring for equality and justice. Our thanks to partner author Linda Christensen for contributing this important text to the 2017-18 Marginal Syllabus! Linda will be featured alongside Andrea Zellner (Literacy Consultant for Oakland Schools and Teacher Consultant, Red Cedar Writing Project), Kevin Hodgson (6th grade teacher in Southampton, Massachusetts and Outreach Co-director at Western Massachusetts Writing Project), and Marginal Syllabus organizers Joe Dillon and Remi Kalir in a Connected Learning TV webinar scheduled to air on Tuesday, December 5th. This annotation will be updated to include that webinar video. Welcome to the 2017-18 Marginal Syllabus and December's conversation! This is the third text we will read and publicly annotate as part of "Writing Our Civic Futures." The Marginal Syllabus convenes and sustains conversation with educators about issues of equity in teaching, learning, and education. The project's name, Marginal Syllabus, embraces a political and technical double entendre; we partner with authors whose writing may be considered marginal—or contrary—to dominant education norms, and online conversations with authors occur in the margins of their texts using web annotation. The Marginal Syllabus is a partnership with the National Writing Project, who is hosting the 2017-18 syllabus, and Hypothesis, an organization building an open platform for web annotation. COLLABORATION: Connected teachers work collaboratively. CURIOSITY: Connected teachers bring an inquiry mindset to classroom practice. COURAGE: Connected teachers give up some of their control over the learning experience. CIVIC ENGAGEMENT: Connected teachers engage their students in public life. CARE: Connected teachers share their interests and learning with their students. This chapter by Nicole and Antero is associated with an issue of the journal Review of Research in Education that explores the theme "Disrupting Inequality Through Education Research." If Marginal Syllabus participants are interested in other articles from this issue and do not have access via an academic institution, please contact me privately (i.e. via Twitter DM, I'm @remikalir) and we'll make arrangements. Nicole and Antero will be featured in an episode of Connected Learning TV, alongside Marginal Syllabus organizers Joe Dillon and Remi Kalir, scheduled to air on Tuesday, November 7th. We will update this annotation and embed the video once it's recorded. Antero was also a partner author during the 2016-17 Marginal Syllabus. Antero and co-author Cindy O’Donnell-Allen contributed the introduction from their book Pose, Wobble, and Flow: A Culturally Proactive Approach to Literacy Instruction. You are very welcome to read and join that previous annotation conversation, too. Welcome to the 2017-18 Marginal Syllabus and November's conversation! This is the second text we will read and publicly annotate as part of "Writing Our Civic Futures." The Marginal Syllabus convenes and sustains conversation with educators about issues of equity in teaching, learning, and education. The project's name, Marginal Syllabus, embraces a political and technical double entendre; we partner with authors whose writing may be considered marginal—or contrary—to dominant education norms, and online conversations with authors occur in the margins of their texts using web annotation. The Marginal Syllabus is a partnership with the National Writing Project, who is hosting the 2017-18 syllabus, and Hypothesis, an organization building an open platform for web annotation. We need to harness these new technologies for learning rather than distraction. Instead of banning technology from the classroom teachers should incorporate it. this way teachers can keep their students interested and keep their teaching style modern. The Marginal Syllabus will also be featured during the session "Layered Learning: Web Annotation in Collaborative and Connected Contexts," on Friday, October 6th, 2p in Emerald Bay DE. Again, here's Marginal Syllabus partner author Sangita Shresthova's text "Between Storytelling and Surveillance: The Precarious Public of American Muslim Youth,” which was featured in the 2016-17 Marginal Syllabus. Welcome to the 2017-18 Marginal Syllabus! This is the first text we will read and publicly annotate as part of "Writing Our Civic Futures." The Marginal Syllabus convenes and sustains conversation with educators about issues of equity in teaching, learning, and education. The project's name, Marginal Syllabus, embraces a political and technical double entendre; we partner with authors whose writing may be considered marginal—or contrary—to dominant education norms, and online conversations with authors occur in the margins of their texts using web annotation. The Marginal Syllabus is a partnership with the National Writing Project, who is hosting the 2017-18 syllabus, and Hypothesis, an organization building an open platform for web annotation. I look forward to learning what "toughest" means--as a character attribute or as a teacher characterization expressing how difficult Abaham was to 'teach' or...? A small but important detail - despite their conflict and mediation, Abraham could still text Bronwyn. Whenever a teacher, school, or district suggests limiting the means of accessibility and conversation among educators and students (including providing phone numbers), this story is a great example of why that matters. This phrase was used earlier and I'd like to know more... which means I should probably read Bronwyn's entire book! He was the student who, without trying to, called me out consistently on my own detrimental tendencies by churning them up and then handing me a figurative mirror to look at myself. What a powerful reflection on a student-teacher relationship that eschews placing blame and rather seeks to find a sense of nuanced understanding in a rather complex human relationship. Thank you for sharing! Writing was a way of communicating in our class that offered him acceptance and an invitation to join the community. I appreciate this framing of writing as a collection of practices that mediates participation in various contexts, from the personal to the more academic and communal. The following is incredibly powerful! On a tangential note, I'm curious about how Bronwyn worked with Abraham (and other students) to get access to and use their writing in her book. No doubt Bronwyn likely details this elsewhere in her book, though some background for the purposes of our conversation would be grand. How many educators take the time to learn about the academic dexterity of their students? I was recently at a research conference and presented during a session on methodological complexities in studies of learning. Long story short, one of the presenters critiqued the often short timescales of many studies (often less than a few months, if that), and advocated years-long engagement with learners - despite many of the challenges that come with sustaining inquiry over such a period of time. Nonetheless, educators are uniquely positioned to conduct inquiry over longer timescales. An inverse of this statement is fascinating to consider, too: Educators' pedagogical success is inextricable from their ability to develop and sustain positive relationships with learners. This book is filled with powerful quotes, like this, from the students. Through the narrative curriculum, I hoped that the students and I could together create a restorative class community that would provide academic support and school gravity for Abraham. I was happy to see this chapter move into a focus on restorative practices since there are many resources to support this kind of practices in schools and community spaces. Maybe as part of this project we can gather some together to share? Like Hazel, Abraham was able to see himself on the written page. Making connections here between the different chapters of this book that highlight the work of different students. Okay. In tears at this point. Just to say. I wanted to deal with our conflict by engaging him in conversation about its root causes, rather than rely on positional power in a way that would hold no real power with him. Important statement here; restorative approach. The concepts and strategies embedded in the narrative curriculum were my approach to classroom discipline for Abraham. What are the implications ultimately of this approach? What is possible if we think more this way about our shared work in education and learning? Coming from a family where I too can see the devastating results of humiliation and exclusion ... and how totally unhelpful they are in resolving anything at all (they always make it worse, in fact) I so appreciate Bromwyn sharing alternative visions of what is possible. This sequence shows to me a teacher who is paying close attention to what students are creating. This distinction is subtle and also important. We wanted to dis-engage Abraham from disruptive behaviors, but we did not want to disengage him as a person. We did want to engage him as a student, which required us to provide learning experiences that would show him how education could bring self-awareness and other tools to ease the pain. This strikes me as a key intention in this work and therefore this chapter/description of the work with Abraham as case is a way to demonstrate one example of how a school/classroom can be a place of caring while also remain focused on learning. Our administra-tion and I knew that we needed to handle these incidents with concern for how the messaging would affect his sense of self. Powerful statement here about administration working with the teachers on behalf of the students well-being. Our relationship could become antagonistic, but not in the traditional sense where teachers and students are disconnected or unable to relate to each other’s positions. Abraham struggled to maintain closeness without eruptions of anger or distrust, and I struggled to handle conflict without taking negative emotions personally and stepping away. Here we see Bromwyn being very self-aware in the ways that she is interacting with her student Abraham. An essential focus here not just on the act of writing and revising but on well-being. His writing conveyed harsh truths that he perceived in his life that colored his sense of self, and he wrote himself as a character imprisoned by them. Over the course of his narrative work, his tone and self-characterization evolved as he realized that he had agency in deciding what truth meant to him. Agency: noun. The belief that I am here for a purpose. I’m not a nobody, I’m a someone. I appreciate this definition of agency too. Was in a conversation recently where we were talking about collective agency and agency within community. I think this sense of purpose starts to pick up on that. Truth: noun. Where I get my pride and grace. This is a beautiful and powerful definition that speaks to the power of the work the students and their teacher were doing here. Thanks to Bronwyn LaMay for partnering with the Marginal Syllabus and joining us in an annotation conversation during the week of May 22nd. Click here for additional information about our annotathon in partnership with Educator Innovator, including a webinar on Tuesday, 5/31 at 7p ET. This sense of common needs is similar to "shared purpose" in connected learning. In 2012 I heard John Seely Brown give a keynote at the DML Conference where he said that "perhaps John Dewey (and Marie Montessori) were 75 years ahead of their time" when driving models of education that brought the learner into the flow of what they were learning. Maybe, he posits, "their intuition was right but their toolset was wrong." I was so excited by this thought and have been wondering it ever since. So how might we do what JSB does in his speech and recast some of John Dewey's work here from 1907 in today's networked age? JSB described his goal is to create an "arc of life learning that scales." I am wondering about equity in connected learning and teaching. In the German case, the negative biological and ultimately commercial consequences of the stripped-down forest became painfully obvious only after the second rotation of conifers had been planted. "It took about one century for them [the negative consequences] to show up clearly. Many of the pure stands grew excellently in the first generation but already showed an amazing retrogression in the second generation. The reason for this is a very complex one and only a simplified explanation can be given.... Then the whole nutrient cycle got out of order and eventually was nearly stopped.... Anyway, the drop of one or two site classes [used for grading the quality of timber] during two or three generations of pure spruce is a well known and frequently observed fact. This represents a production loss of 20 to 30 percent." Yet, orchards, where there is no deforestation are managed environments. This doesn't help with the problem of deforestation but also might be instructive about how to conduct experiments. The vocabulary used to organize nature typically betrays the overriding interests of its human users. In fact, utilitarian discourse replaces the term "nature" with the term "natural resources," focusing on those aspects of nature that can be appropriated for human use. We probably focus on the discrete parts of the system because it is easier than studying the system and dealing with a more daunting data set. In state "fiscal forestry," however, the actual tree with its vast number of possible uses was replaced by an abstract tree representing a volume of lumber or firewood. 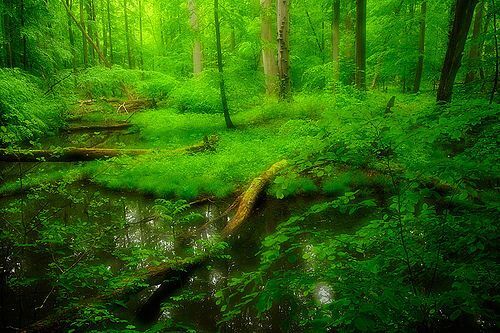 If the princely conception of the forest was still utilitarian, it was surely a utilitarianism confined to the direct needs of the state. From a naturalist's perspective, nearly everything was missing from the state's narrow frame of reference. Gone was the vast majority of flora: grasses, flowers, lichens, ferns, mosses, shrubs, and vines. Gone, too, were reptiles, birds, amphibians, and innumerable species of insects. Gone were most species of fauna, except those that interested the crown's gamekeepers. Coincidentally, I just read the novel Barkskins, by Annie Proulx, which is historical fiction about the timber industry in pre-colonial and colonial North America. The novel covers a lot of territory, so to speak, but she compares the timber practices in the US to the tightly managed timber practices in Germany, and the most complex forest environment on earth, the Amazon rainforest. Why? Because they are distracted in class due to learning that is not relevant to their interests? Or because they are participating in some type of activity that is complemented by mobile device use? The initial presumption that learners are "on" a device and not engaged with authentic practices (i.e. questioning, inquiry) is troubling, if not shortsighted. Podcasts. Both creating and listening to podcasts. I love podcasts and I’m not alone. Podcasts are HOT right now. What might youth author in podcasts? Can this be authentic journalling, planning and strategy? Can youth experts who are experienced with Pokemon make podcasts for their classmates to give the background of the game? Very few students will be using PearDeck, or Socrative outside of a school setting, so why not use what they will use or do use: Twitter, Snapchat, Instragram, Minecraft are all powerful tools inside and outside the classroom. This is a strange rationale. Instead of focusing on the inevitability of youth using phones, I would look at the possibility of connecting story, myth, strategy, mapping, exercise and social interaction. We watch as solid, slow moving, hermetic traditions of the academy are challenged by the fluid, fast-moving, and crowd-sourced affordances of contemporary digital media. Challenged and replaced, for all practical purposes. Pettitt's concept of the Gutenberg Parenthesis resonates. could connect my students with students in the K-12 system where they (many are future teachers) can practice using digital tools to teach children and mentor children about college along the way. Yes. I actually want to start some digital field placements. Why is open better than BlackBoard? I don't think you Really had to ask this question. I agree. I made a series of makes and then allowed students to build portfolios. For instance, there were some pages with learning activities on them that I made password protected or only editable by people with specific email addresses.